Mediterranean Atmospheric Post Metal act ALCHIMIA streams the track “Assenza (Memory)”, from the debut album “MUSA”, out now worldwide via Buil2Kill Records/Nadir Music. who shaped a charming and emotional sounding project focused on the mediterranean melancholic atmospheres of his motherland. The absence as a form of spiritual introspection, leads to a personal purification of the inner-self, while on the parthenopean background the dualism between rage and romance, drama and poetry, enhance the listener’s experience. “Assenza (Memory)” is the second track out of the spectacular debut album “Musa”, released on 21st April 2017. Featuring special guest appearences by David Folchitto (Stormlord) on drums, Fabio Fraschini (Novembre) on bass and Gianluca Divirgilio (Artic Plateau) on ghost guitars. Recorded and mastered at PlayRec Studio (Novembre, Artic Plateau, Rome in Monochrome) by Fabio Fraschini and Gianluca Divirgilio. Official Track Stream Video produced by Giulian (Scuorn, Nahemia) at Cult Of Parthenope Promotion. 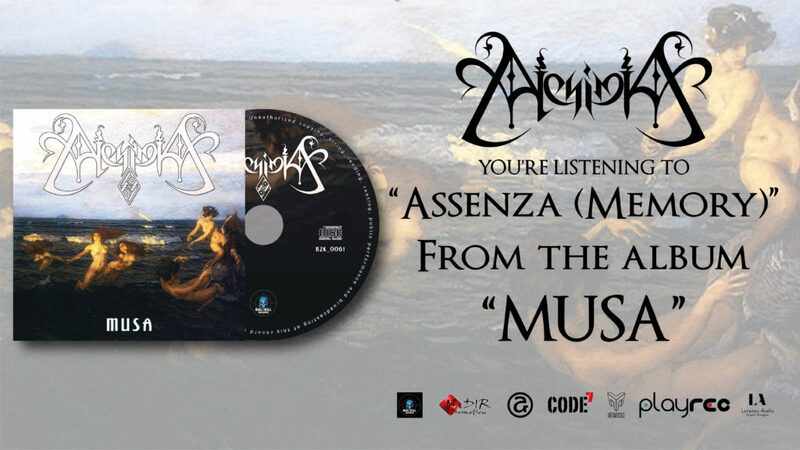 Alchimia’s debut album “Musa” is out now via Buil2Kill Records/Nadir Music.